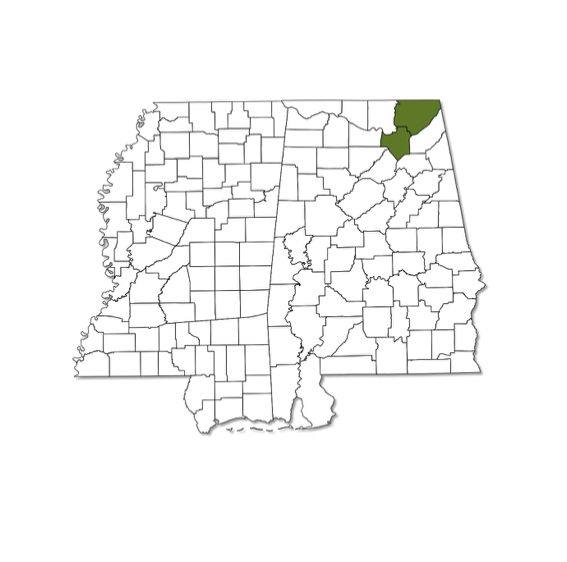 Known from only two counties in northeastern Alabama (Jackson and Marshall). Lower surface of forewing orange with black dots and hindwing gray with thin orange stripe and small black dots. Upper surface of forewing mostly orange with brown lateral border and large black dots; upper surface of hindwing mostly brown with orange band near trailing edge.